Arsenal have issued a statement confirming that Unai Emery will be the club’s new head coach (via Arsenal.com). It’s a decision which seemed hugely unlikely just a few days ago but Arsenal have today confirmed that the club’s new manager will be Unai Emery. 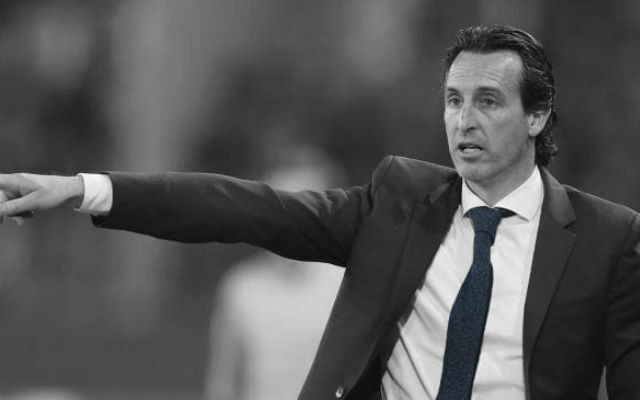 Emery won three consecutive Europa League titles before moving to Ligue 1 where he won the French league title with PSG. The former Sevilla and Spartak Moscow boss left Paris Saint-Germain several weeks ago but will replace Arsene Wenger as the Gunners’ new head coach. “I am thrilled to be joining one of the great clubs in the game,” Emery said in the club’s statement. “Arsenal is known and loved throughout the world for its style of play, its commitment to young players, the fantastic stadium, the way the club is run. I’m very excited to be given the responsibility to start this important new chapter in Arsenal’s history. The decision was made by the club’s new trio of decisionmakers, head of football relations Raul Sanllehi, head of recruitment Sven Mislintat, and chief executive Ivan Gazidis. “We conducted a confidential, wide-ranging and rigorous search involving extensive background references, data and video analysis, and personal meetings with all the candidates we shortlisted,” said Gazidis. It’s going to be fascinating to see how Unai Emery gets on at Arsenal. It’s a surprise announcement given the close ties with Mikel Arteta in recent weeks but with a little reflection, it’s a decision which makes sense. Emery has had a lot of success in Europe whilst bringing in young players and working on a budget. Let’s hope he can bring that to Arsenal next season.